We're Anna & Hannah. We look quite alike, were born just a few months apart and have been friends since school. Together we run something we're incredibly proud of, Star Steppers. Each week we're fortunate enough to teach over 850 students about dance, drama and singing. This is our absolute passion and something we love doing. Lucky Girls Who Love Their Jobs! Years of Friendship & Sisterhood! Star Steppers Performing Arts has been running for over 10 years. 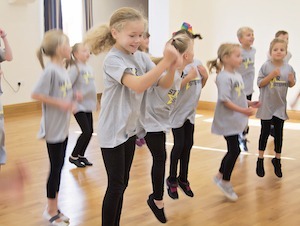 Our classes have grown since our first in Cheam to now include Caterham, Reigate, Cobham, Stoneleigh & Horley. We work in schools and party our weekends away all over Surrey, South London and Kent. Anna Judge (nee Brunton) & Hannah Gunning (nee Everitt) who are helped by some amazing teachers as well as a host of fantastic class assistants - which include past-students and Hannah's Mum - Mrs E. Plus, we can't forget to mention the parents who help by not just being part of Star Steppers but the chaperones who give up their time to ensure the shows are a success! Anna & Hannah have trained and performed professionally at some of the UK's most respected institutions. 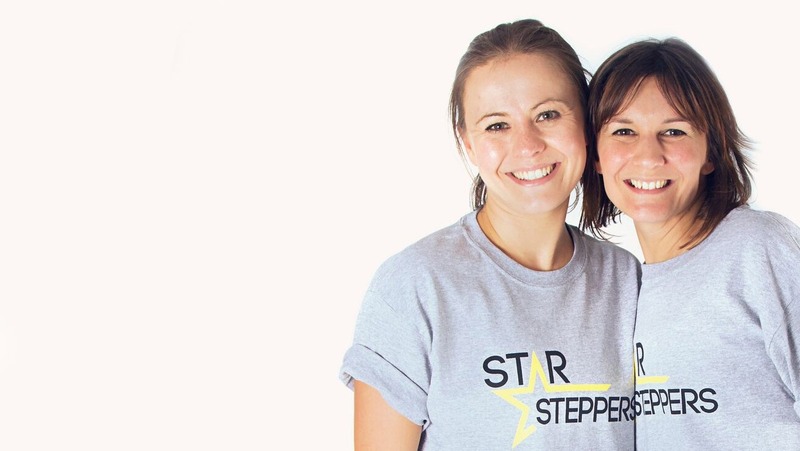 Prior to setting up Star Steppers, Anna & Hannah taught at the likes of Stagecoach, Ballet Schools as well as Heading up Performing Arts at Danes Hill School and Dance Development for Tandrige Council. Star Steppers classes run Monday through to Saturday at various locations throughout Surrey as well as in a host of schools. Kids dance parties can also be booked and are typically done on the weekends by Anna, Hannah or one of our teachers. Cheam, Stoneleigh, Cobham, Reigate, Horley and Caterham. 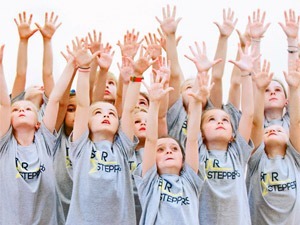 Star Steppers classes are run by professionally trained dancers, singers, actors and performers. All our staff have undergone DBS / enhanced CRB checks, and have a wealth of teaching experience. We are insured with public liability and have PRS and PPL music licences. Our local, community-orientated classes are friendly and welcoming. The emphasis is not on exams and competition but on nurturing young talent and providing a stimulating and supportive learning environment. We encourage all our students to participate in end of term productions and local performances as this gives young people an aim and a sense of achievement and pride at the end. Our Step Into Education programme brings the creativity and excitement of performing arts to schools all over Surrey and South London. Whether you are looking for a weekly class or one off workshop we can provide what you are looking for. See which schools we have been working with on our Friends page. Our performing arts workshops are a creative, fun and energetic way to while away the holidays. These holiday clubs are rounded up with a performance for parents at the end. We can create dance parties for all ages. Whether you are looking for a children's birthday party, special event, celebration or a hen do we can tailor make a party especially for you. Learn dance routines to your favourite pop songs or shows. Through our work in schools we were invited to be the organisers of the East Surrey Steps Up Dance Festival. An event which was set up by the East Surrey School Sport Partnership, giving children from all over East Surrey the opportunity to represent their school and perform a 3-5 minute dance routine on the professional stage at The Harlequin Theatre, Redhill. This event takes place in March each year and it is free for schools to enter. For more information please go to the East Surrey Steps Up Dance Festival page. Please confirm you are happy for Star Steppers to use this information to contact you via e-mail, SMS, phone call or post regarding your East Surrey Dance Festival Registration. We will not share this information with third parties. Remember you can always e-mail info@star-steppers.com if you no longer wish to hear from us.